Mahlee loves doing things with her mother. When Mommy suggests that she try fried grasshoppers, something she ate as a child growing up in Laos, Mahlee is not so sure. 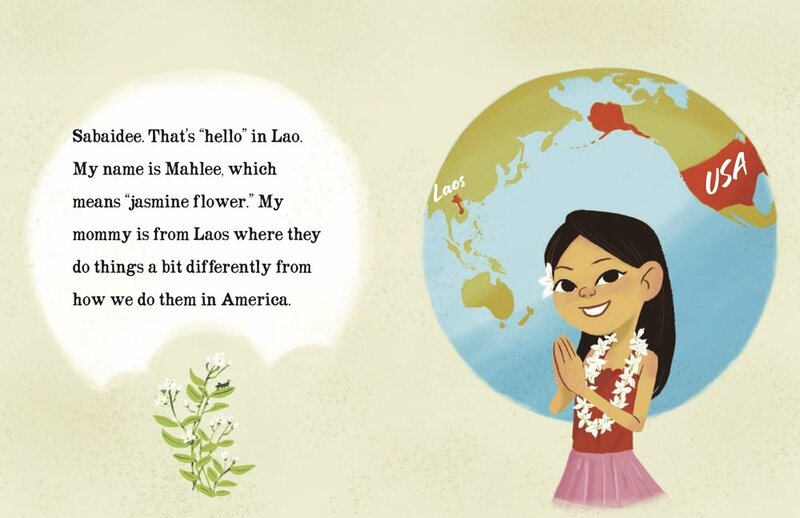 Mommy knows it’s time to tell her daughter how different her life was in Laos. 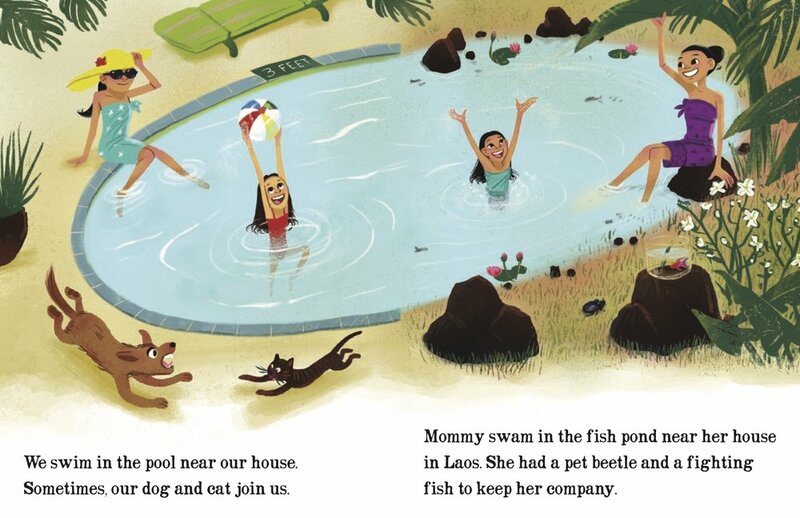 She drank water from a coconut, wore shoes made from banana tree trunks, made dolls out of rags, did homework on a small blackboard, swam in a pond, and had a beetle and a fighting fish as pets. Not only that—she ate fried grasshoppers! “They taste just like potato chips,” Mommy tells her, but Mahlee changes the subject. She lives in California, and Americans don’t eat fried grasshoppers. Her mother suggests again that they have fried grasshoppers while they watch a movie. Mahlee thinks about it. She and Mommy always do things together, she realizes. Why should this be any different? 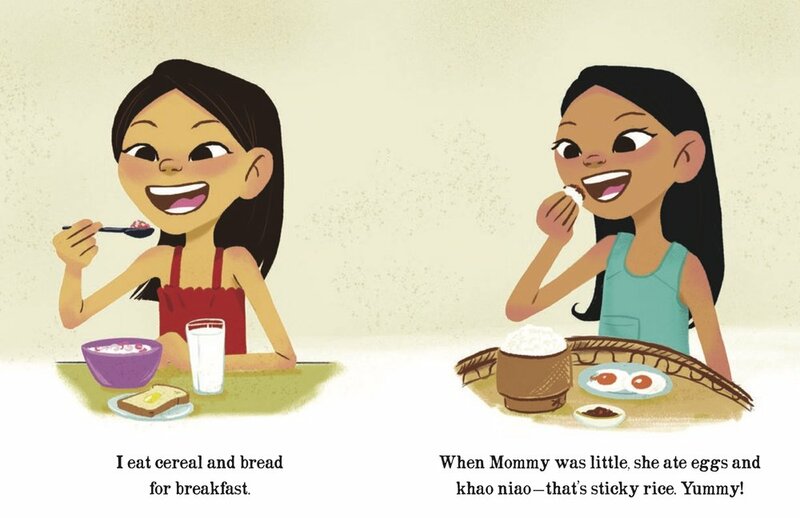 In Mommy Eats Fried Grasshoppers and through the closeness of a mother-daughter relationship, Vilayvanh Bender shows children that cultural differences are just that—differences.